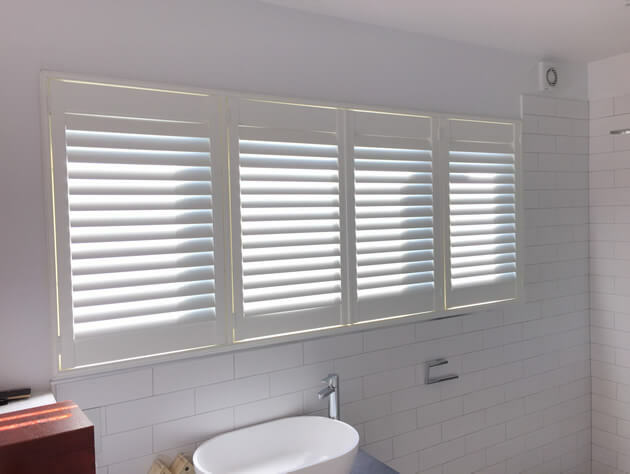 Ben and Kirk were in Brockwell Park located in South East London to help a homeowner with the design and installation of some shutters for a wide window in the bathroom. The bathroom window sat directly in front of the sink and shower wet room area. It was important to maintain privacy in this room from such a large window, while also allowing adjustment of light and airflow in throughout the rest of the day. Hinging the shutters in a certain way also allows for individual panels of the shutters to be opened depending on where the customer would like privacy and open light throughout the day and night. As well as opening and closing each shutter panel the louvre slats can also all be adjusted on each panel making this solution the ultimate in flexibility. 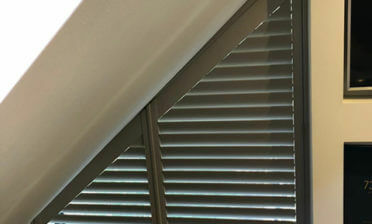 The louvres are 64mm with hidden tilt rods, which allows those in the home to adjust the louvres through touch rather than having a tilt rod mounted to the shutters. 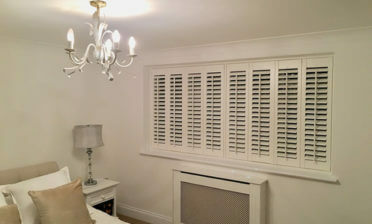 We installed them using an invisible split halfway up the panels which allows for the top and bottom louvres to be adjusted separately, making the overall adjustments on these shutters almost limitless! 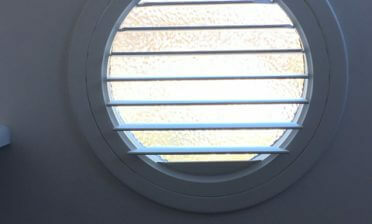 The shutters are created in a full height style with us designing 4 panels to run along this wide window recess. Each panel can be opened and closed on hinges. The shutters were finished in silk white paint with matching white hinges which works perfectly with the rooms tiles and other styling.